Vehicle owners may soon have an option to buy insurance cover in proportion to distance traveled. Insurance Companies are testing this model and hopefully it will be available soon. This new way of paying insurance is known as 'PAY AS YOU GO'. Pay as you go refers to buying a car insurance policy as and when you need it. If you vehicle stands in the garage for too many days or your usages of driving is low, you don’t have to think about the cost of insurance that may be going wasted. The basic idea is to charge INR 1000 which can cover 30 days of driving. Instead of paying the entire year's premium in advance, the policyholder can pay according to his usage. If the usage is less, the remaining amount can be refunded. Future Generali Group in partnership with Logica, a UK-based IT company, The group also collecting & analyzing data to come up with a pricing model for ‘Pay as you go’ insurance, after that they plan to approach IRDA. Bharti AXA General Insurance is testing the concept by installing GPS devices in the cars of 150 of its employees. The GPS device gathers data based on the mileage and the roads on which the vehicle has run. The GPS device uses satellite technology to track your miles, with motorists able to monitor your driving behavior online. Hence, Insurance Company may price the cover based on each of these parameters. 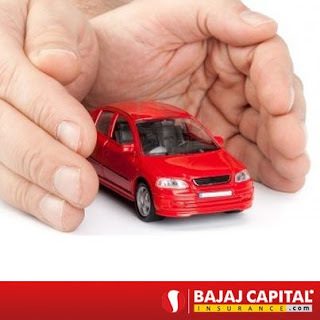 Currently, motor insurance premium in India is calculated based on age and value of the vehicle after detecting the depreciation cost. With ‘pay as you go’ vehicle insurance, owners who drive more and have rough driving habits will be charged higher premium.